(Warning: contains minor spoilers!) 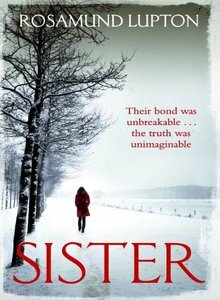 Not to be confused with Jodie Picoult’s My Sister’s Keeper, which is about Preimplantation Genetic Diagnosis, Rosamund Lupton’s 2010 novel called simply Sister centres on a gene therapy trial. The Hemming family know that they harbour the gene for cystic fibrosis (CF); Beatrice – the narrator of the story – has seen her younger brother Leo die of the disease and her pregnant sister Tess has been told that her child will also be a sufferer. At the start of the book Tess has gone missing and Beatrice flies back from the USA to look for her. As Beatrice recounts the events that follow her search for her sister, it is clear that Tess’s decision to participate in a clinical trial of a gene therapy cure for CF lies at the heart of the story. In terms of bioethics education and an explanation of some of the ethical tensions associated with gene therapy, the stand-out passage begins on p231 when Beatrice goes to visit Chrom-Med, the company behind the official trial. Chrom-Med use of an artificial chromosome to deliver a working copy of the CFTR gene, which codes for the Cystic fibrosis transmembrane conductance regulator protein. The passage could be read to a class to introduce some of the issues. I would suggest starting with “At just before 9.30 a.m. I arrived at the Chrom-Med building…” on p231 and running through to “When will you be testing it on humans? You’ll make a killing then, wont you?” on p233. Reading this section aloud takes about three and a half minutes. Alternatively – the novel was adopted as the Radio 4 Book at Bedtime for ten weekday nights (24th Sept to 1st Oct 2010) and was cited in Quentin Cooper’s Material World on 27th September 2010, so there may be valuable audio extracts there. Unfortunately these shows are no longer on iPlayer but I am investigating availability of audio recordings.